Today I'm reviewing this nailpolish! I've recently been really loving this metallic green color. 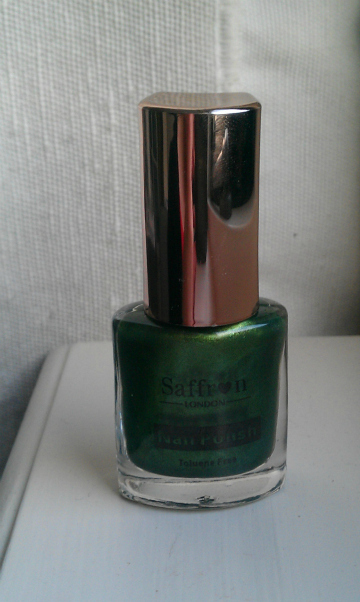 It's from a brand called Saffron London. 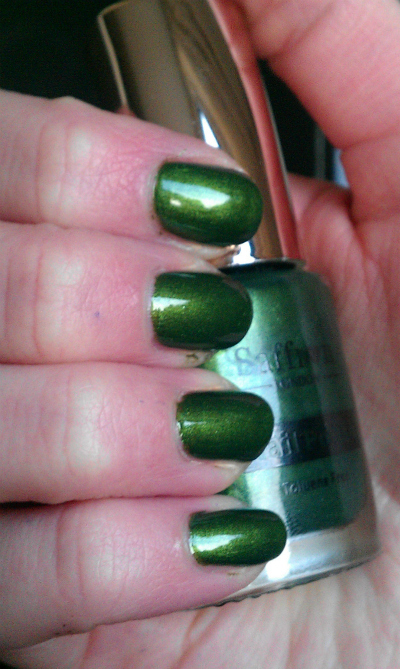 It costed my friend (she gifted me this nailpolish) about €1,99, which is a great price! I haven't seen a lot of people wearing similar colors to this one, that's why I liked it so much. 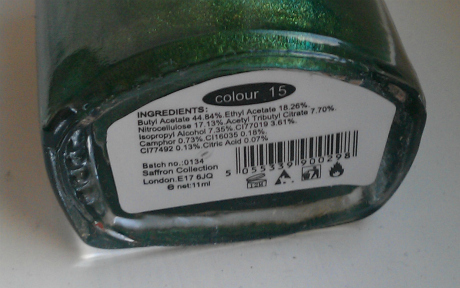 This one is in the color 15 and the bottle contains 11 ml nailpolish. Even though the nailpolish chips easily, I would still purchase other colors of this brand, just because I love the colors and the price is great. I don't know where they sell this brand, you just have to be lucky to find it I guess!